Home Asian Economy Business Economy Investment in the Philippines Mining Nickel Philippines Global Demand for Nickel or Destruction of the Philippine Mountains? Global Demand for Nickel or Destruction of the Philippine Mountains? Nickel fell the most in eight weeks on speculation that the government may take longer than expected to close mines that don’t meet environmental rules in the Philippines, the biggest supplier of ore to China. The metal used in stainless steel advanced 12 percent last month on concern that shipments from the Philippines to China will be disrupted as a new government enforces standards. While Environment Secretary Gina Lopez said an audit of mining operations will be completed in three to four weeks, speculation mounted on the timing of any closures. “Now doubts have arisen as to whether those mines in the Philippines that are failing to meet the necessary environmental standards could really be shut down in the near future,” Commerzbank AG analysts including Daniel Briesemann said in a note. Nickel for delivery in three months slipped 4.8 percent to settle at $9,705 a metric ton at 5:52 p.m. on the London Metal Exchange, the biggest loss since May 9. Copper for delivery in three months slipped 1.6 percent in London. Zinc, lead and tin also declined on the LME, while aluminum rose. Can You Spare a Nickel, Mr. Duterte? Nickel has been the worst performer of the London Metal Exchange's six major metals over the past year. The key ingredient in stainless steel, which topped $50,000 a metric ton in 2007, has barely risen above $10,000 in eight months.Between 60 percent and 70 percent of producers are losing money at current prices, Ivan Glasenberg, chief executive of the fourth-biggest producer, Glencore, told an investor call in December. In trying to deal a blow to a mining industry he accuses of "spoiling the land," Philippine President Rodrigo Duterte, also known as the "Punisher," may have just done global producers a favor.SHARE OF NICKEL PRODUCERS LOSING MONEY60-70%Nickel traded on the LME rose at the fastest pace in more than eight months Monday. The proximate cause was Duterte's new environment and natural resources minister, Gina Lopez, who said miners that don't pass an environmental audit to be completed in three to four weeks face suspension. Less than a third currently meet international standards, Lopez said last week. The Philippines is by far the biggest producer of the stainless steel alloy. 2015 mine output by country. The news isn't exactly a bolt from the blue. Duterte has been a longstanding critic of mining companies, passing a law to enforce a ban on them in his home city of Davao while he was mayor. 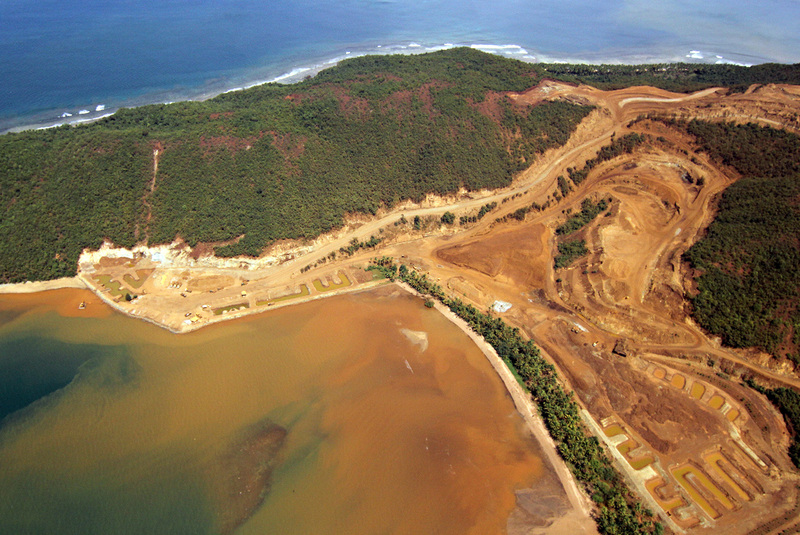 It moved the market because the Philippines is far and away the biggest producer of mined nickel, according to the U.S. Geological Survey, overtaking Indonesia since that country banned exports of metal ores in an attempt to encourage a local smelting industry.The Philippine nickel industry is dominated by small-scale local producers, so Lopez's comments will if anything give global mining companies a long-overdue reason to be cheerful. Vale, the biggest miner, has posted an aggregate $2.1 billion in losses on its nickel unit over the past decade. BHP's Nickel West operation, the third-biggest producer according to Bloomberg Intelligence data, is still operating largely because the costs of closure are greater than the losses that may be incurred from keeping it running, Chief Executive Officer Andrew Mackenzie told an investor call in February. It's going to take a lot to lift nickel prices from the doldrums, but a shutdown in the Philippines could be just the ticket. The International Nickel Study Group is already forecasting that demand will exceed supply in 2016 for the first time in five years, by 49,000 tons or 2.5 percent of consumption. While the Philippines may be unlikely to close two-thirds of its nickel mines, modeling a production drop on that scale is a useful thought experiment. With 350,000 tons of output quitting the market, supply would be left 21 percent short of demand. That would be more than enough to put a fire under prices. By David Fickling - Bloomberg.